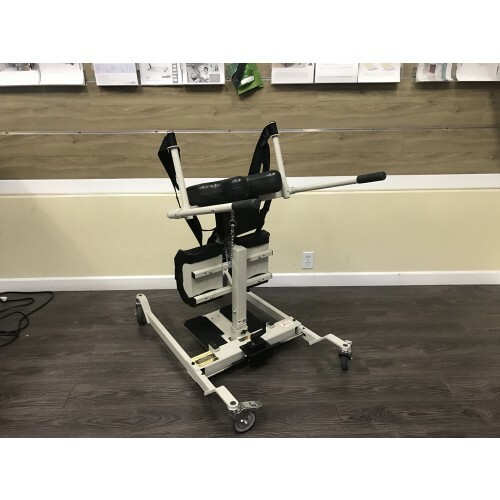 Rehab equipment can help improve your quality of life by allowing you the freedom of mobility and independence. 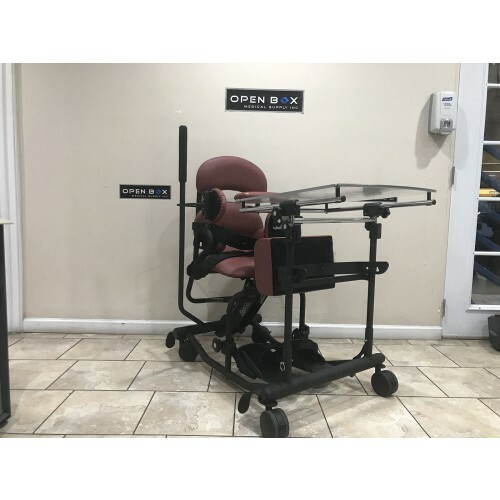 Open Box Medical carries Used, Open Box, Refurbished, and Demo Rehab Shower Equipment, Rehab Standing Aids, Rehab Power Wheelchairs, and more! Each one of these Rehabilitative tools can help you with strengthening your muscles and gaining control of your life again. 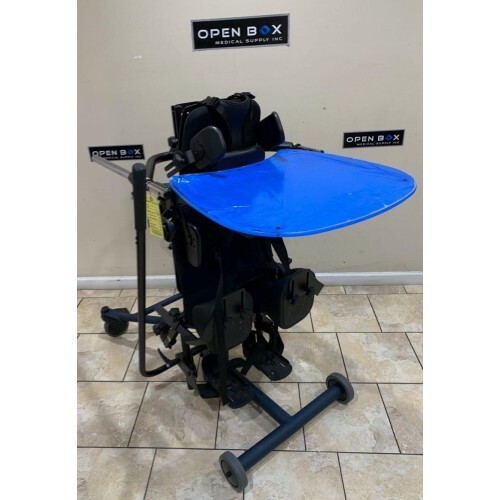 This is a Pre-Owned EasyStand 5000 Youth in Great condition. The natural sit-to-stand transition allows the user to stop at any position. Suitable for individuals ranging in height from 4' - 5'6'' and weighing up to 180 lbs. Price has been reduced as this is a discontinued model, so we only have 1 in stock! 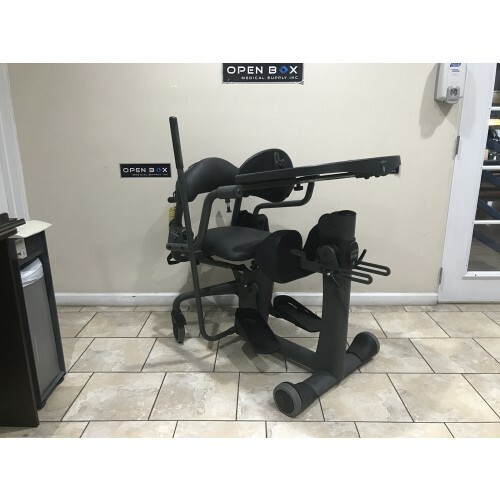 This is a Pre-Owned EasyStand Evolv Adult Sit-to-Stand Stander, but it's in great condition! This Evolv Adult comes with the upgraded Mobile Option & a clear tray. This Evolv Adult Fits individuals from 5’0" - 6’2”, and has a weight capacity of up to 280 lbs. 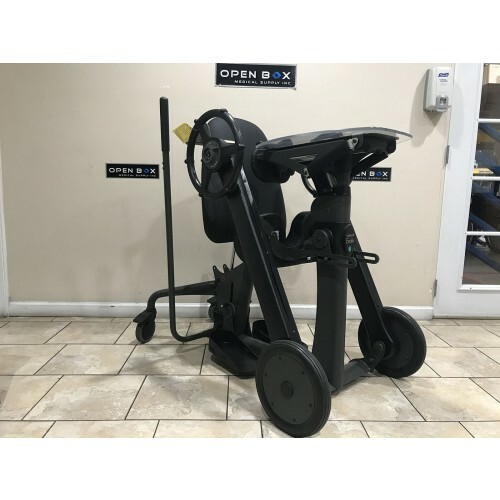 This is EasyStand Bantam Sit-to-Stand Medium Stander in New Condition, never been used. The EasyStand Bantam Medium combines features from both the Bantam and Evolv series to make it more appropriate for the larger, involved child. As children grow, transfers become more difficult, and as a result, compliance with a standing program often suffers. 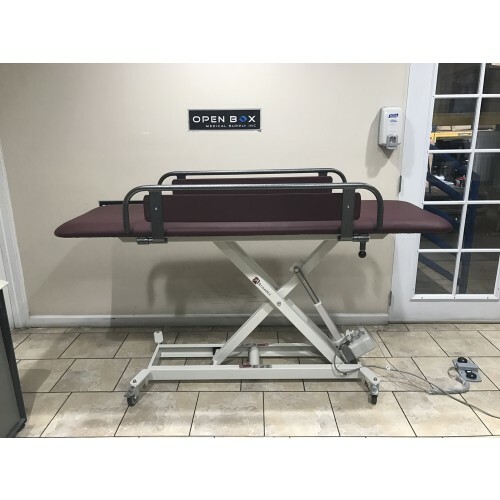 The Bantam Medium allows transfers to a seated or supine position, or any position in between. 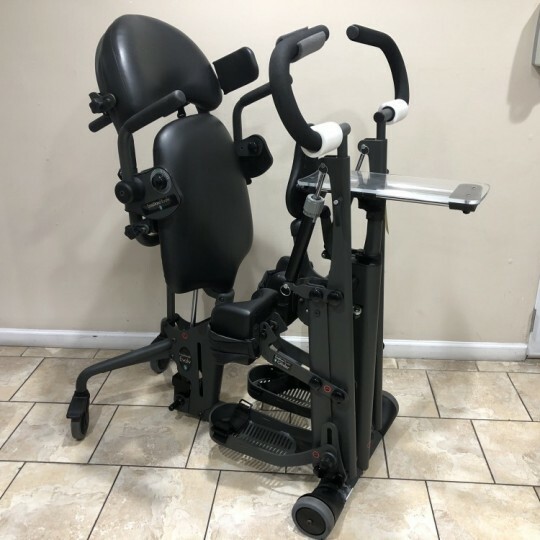 This is a pre-owned H-250 Barton Chair With Patient Transfer System in Like New Condition. 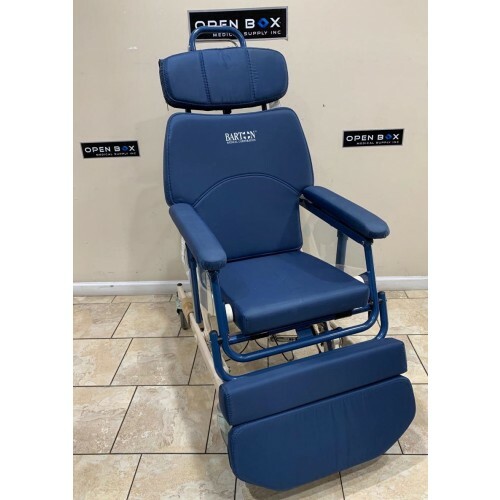 The H-250 Chair is ideal for transferring patients for early mobilization. Its Tilt-in-Space capability allows for increased blood circulation helping to prevent skin breakdown and other complications of immobility. This is a brand new, open box item. The box was opened to show the item to a customer then the customer decided not the purchase the item. This is a Pre-Owned Armedica Hi-Lo Changing Table that is in Excellent Condition. The Footswitch control allows for height adjustment with no effort required. The flip down side rails provide extra security for the user. This electric hi-lo table is ideal for someone accommodating adults or children with special needs. Pre-Owned EasyPivot Model EP-260 in Great Condition. The EP-260 braces the patient's knees and the chest-pad rotates upward and forward to raise the patient's buttocks. Accommodates user heights ranging from 4'6"-6'7". 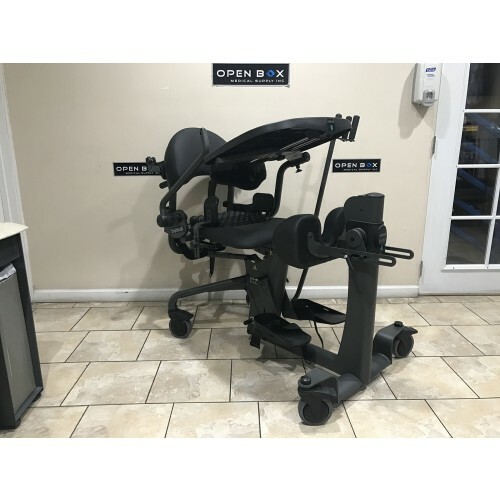 This is a Pre-Owned EasyStand Evolv Adult Sit-to-Stand Stander, but it's in great condition! 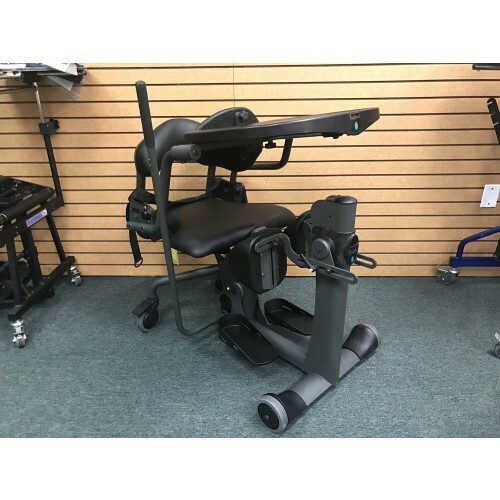 This Evolv Adult comes with upgraded Independent Knee Pads, and has a transfer seat instead of the standard one. This Evolv Adult Fits individuals from 5’0" - 6’2”, and has a weight capacity of up to 280 lbs. The EasyStand Evolv Adult size is a never used open box item. Comes as is with upgrades! Competitors base price is $5695.00 without upgrades. This is NOT an old refurbished unit that has a lot of wear. 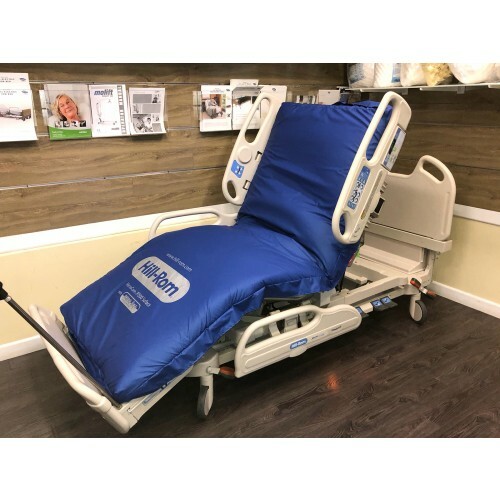 This Hill-Rom VersaCare P3200 Hospital Bed is a newer Pre-Owned, but Like-New bed that was manufactured in 2016 and has very minimal wear. 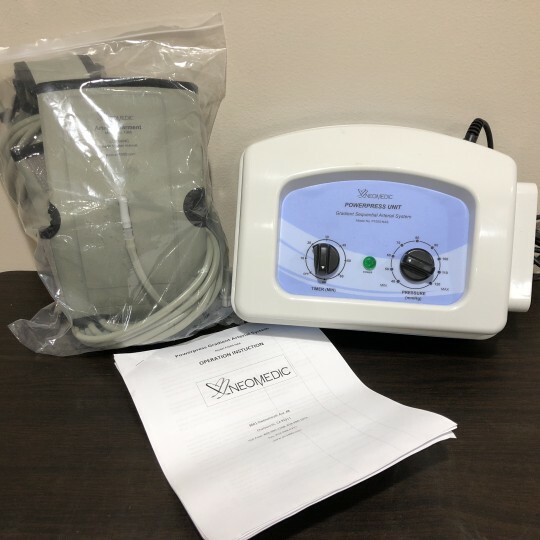 This can be an essential piece of equipment for the treatment & prevention of pressure ulcers, especially for high-risk users. Comes with 1 Year Warranty! 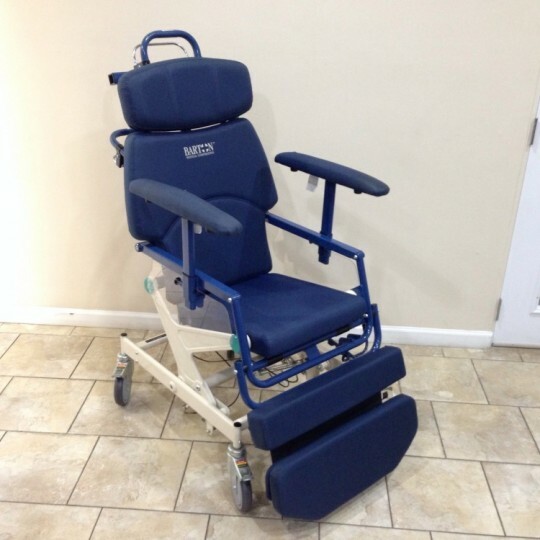 Pre-Owned Convertible Chair and Transfer System from Barton Medical in Great Condition. 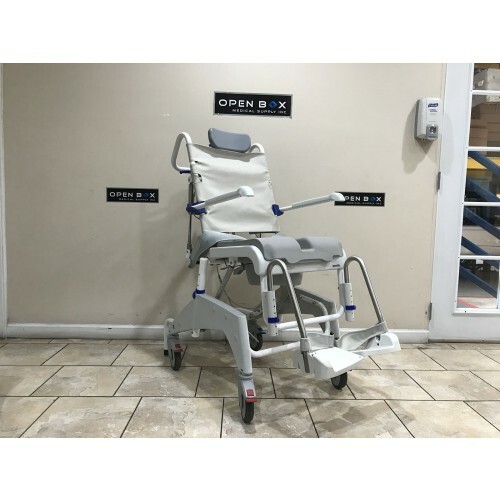 This Chair can easily be converted from a stretcher position to an upright mobile chair in seconds. It is also capable of achieving Tilt-in-Space & the Trendelenburg position.